Florida has over 1300 miles of continuous coastline, and it’s white sandy beaches rank among the best in the world. This year nine Florida beaches ranked in the nation’s top 25 according to Tripadvisor. Florida proudly claimed the number one and number two beaches with Siesta Key and St. Pete. Having all that coastline together with year-round warm sunshine contributes to Florida’s huge tourism business. Unfortunately, with all that tourism many preventable accidents occur. Following these simple rules and safety regulations will help insure a successful vacation and may even save a life too. Limit Alcohol Consumption. Most beaches ban alcoholic beverages. One should inquire about the local laws and abide by their restrictions. Never leave a child or person unattended in the water. Especially if that person(s) are poor swimmers. Rip tides are always present and account for over 80% of water interventions by registered lifeguards. Bring your sunscreen and use it often. It only takes about 20 minutes to be severely burned by the Suns UV rays. Don’t spend your short vacation in pain. I see this happen so often. Don’t expect to ride motorized vehicles along the beach. Motorized vehicles cause many accidents and have been banned for that reason. Never disturb a sea turtles nests, ever!!! It’s illegal and most of all it could alter the hatchlings life. If you are visiting the Suncoast in May through October, you just might have an opportunity of a lifetime. May through October is sea turtle nesting season, and Sarasota County hosts the highest density of loggerhead sea turtles nesting on Florida’s west coast. Other species that nest along Florida’s Gulf Coast include green sea turtles, and rarely, Kemp’s ridleys. Mature female loggerhead turtles, which can weigh more than 250 pounds and measure more than three feet long, come ashore and crawl to an area that they deem suitable for nesting. The turtle uses her hind flippers to dig a hole – a nest – in the sand. She then lays, on average, 100 eggs. She covers the eggs with sand and crawls back to the water, having fulfilled her maternal duties. In approximately 55 to 60 days, the eggs hatch. The hatchlings are only two -to-three inches in length and their eyes are at about the same height as the top of an adult human’s big toe, so they see the world quite differently than we do. After hatching, they start digging their way out of the nest. As they get to the surface, the temperature of the sand helps them determine when to emerge. Loggerhead sea turtle hatchlings generally emerge in the cool of night. This not only protects them from predators and dehydration – it also allows them to use dim natural light to navigate out to sea. Hatchling turtles head for brightness. On a natural, dark beach, the brightest horizon is over the ocean. The baby turtles resemble tiny wind-up toys as they make their frantic dash toward light, and hopefully their new sea home. However, if the brightest glow is coming from artificial lights in a condominium, hotel room or other structure, the tiny turtles get disoriented and head the wrong way, usually toward an unhappy fate. Coastal development and other human activities have inadvertently become major challenges to the survival of sea turtles. All sea turtle species are considered threatened or endangered. If you encounter a nesting turtle, remain quiet and observe from a distance. Shield or turn off outdoor lights that are visible on the beach from May through October and close drapes after dark. Stack beach furniture at the dune line, or ideally, remove it from the beach. Fill in holes that may entrap hatchlings and place trash in its proper place. Don’t approach nesting turtles or hatchlings or make noise. Don’t use flashlights, fishing lamps or other lights on the beach. Also refrain from using fireworks. Please respect marked nests. If you see hatchlings in danger or heading away from the sea, contact Mote Marine Laboratory’s Sea Turtle Conservation and Research Program: 941-388-4331. Rip currents, also known as riptides or undertows, are long, narrow bands of water that can pull any objects caught in them away from shore and out to sea. Rip currents are dangerous, and it’s best to learn how to identify and stay out of them. If, however, you get caught in a rip current, it’s relatively easy to escape if you know what to do. 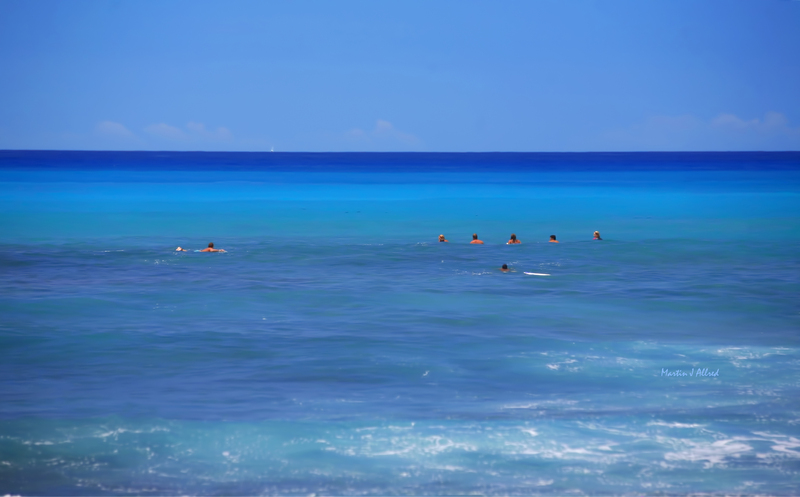 Keep your feet on the bottom as much as possible when swimming in surf conditions. Rip currents can occur in any ocean or lake where surf conditions (breaking waves) exist. Keeping your feet firmly on the lake or sea floor will help you to avoid being swept out to sea by a rip current. Remain calm if a rip current begins to pull you away from shore. If you get caught in a rip current, your first instinct will likely be to panic. Don’t worry, you can escape the current, but you’ll need to keep a clear head about you. Understand that a rip current will probably not pull you underwater; it will only pull you away from the shore. Regain your footing if possible. If the current is relatively weak and you’re in shallow water, you will probably be able to touch the bottom again and prevent yourself from being dragged out further. If you can’t touch the bottom, do not struggle against the current. Rip current victims drown because they become exhausted fighting the current. Conserve your energy for methodically swimming and staying afloat. Call for help immediately if you can’t swim well. Rip currents are especially dangerous to people who can’t swim or who can’t swim well. If you’re not a good swimmer, get the attention of a lifeguard or of other beachgoers by waving your arms and yelling for help. Swim parallel to shore to get out of the current. Being caught in a rip current is like being stuck on a treadmill that you can’t turn off. Luckily, rip currents, like treadmills, are usually pretty narrow–they’re rarely over 100 feet (30.5 m) wide–so you need only get to the side of the rip current (step off the treadmill) to escape. Rather than swim against the current toward shore, swim parallel to the shore. As you do so, the rip current will carry you further away from shore, but remember, don’t panic. Continue swimming parallel to the shore until you are clear of the current–usually no more than 100–150 feet (30.5–45.7 m) down the beach from the point where you entered the water. Float on your back or tread water if you can’t swim out of the current. If you can’t swim, or if you get tired before you manage to make it out of the current, conserve your energy and stay afloat. Continue to signal for help if there are people present. If you’re alone, just relax and stay afloat until you have enough energy to continue to swim. Rip currents generally subside 50–100 yards (45.7–91.4 m) from the shore, so you’ll eventually stop getting pulled further out. Swim toward the shore once you escape the current. When you are out of the current, either because you’ve reached its side or you’ve been carried out far enough for the current to subside, make your way back to shore. It’s generally a good idea to swim diagonally toward shore and away from the current rather than swimming straight back, as the latter method may bring you right back into the current. You may be some distance from shore at this point, so stop and float periodically if you need to rest. Man Overboard.. Lost at Sea.. This entry was posted in Dining and tagged Beaches, Florida, safety, swimming, turtle. Bookmark the permalink.